The complex is very quiet, but within walking distance of the Nieuwmarkt, the Waterlooplein, the Rembrandtplein, the Hermitage and the Hortus Botanicus (one of the oldest botanical gardens in Europe) . The houses are adjacent to a waterway, so there is always something happening and you can enjoy magnificent views. 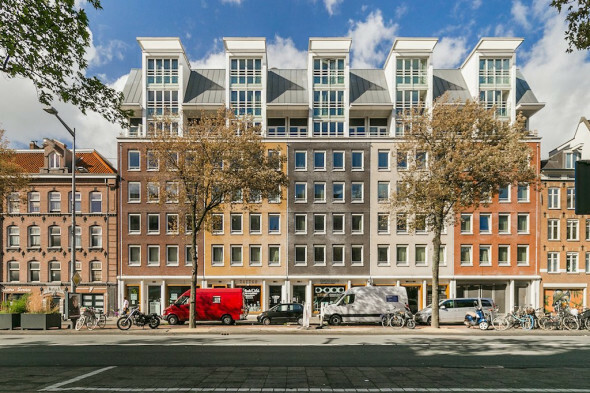 The apartment is located next to the building of diamond Gassan, this beautifully maintained building (1879) houses the head office of the largest diamond grinder in the Netherlands. 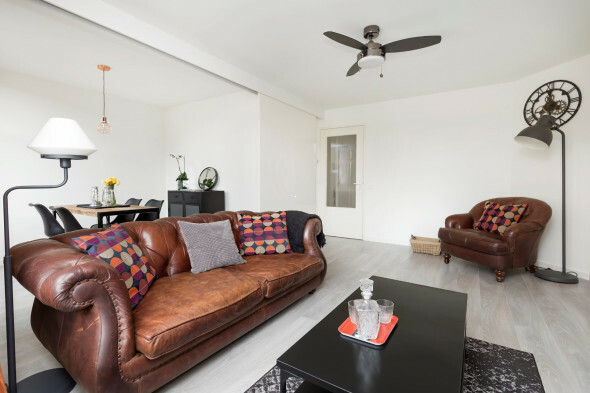 The apartment is located on a car-free and dead-end street that opens onto the Uilenburgergracht. Here is the possibility to moor with a boat and to sail towards the IJ or the canals. Central Station can be reached easily by bike or by foot. Common entrance on the ground floor, hall with elevator. Private entrance on the second floor. Hall with C. V. -room with preparation for washing machine and dryer. Separate toilet. Spacious bedroom with closet and access to small balcony facing West with afthernoon and evening sun. Second spacious bedroom with closet wall. Bathroom with separate shower and bath and double sink.